Simon Toland of Simon’s Cat is currently raising funds to make “Off to the Vet“, his new 11-minute color animation that will comically tell the story about getting Simon’s cat to the vet, an idea that came from fans through social media comments. We love reading your comments as it helps us understand what you like about our films and what you might like to see next. There is one theme that many fans have requested and it’s one that Simon would really like to make too – it’s the theme of going to the vet. 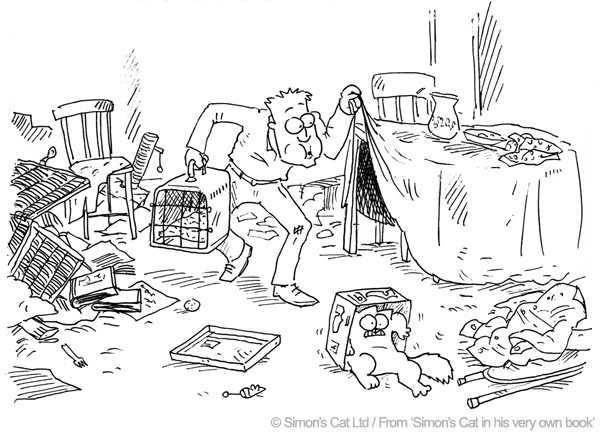 Simon has been developing ideas around the vet theme for some time now. With so many ideas and gags, we feel this film deserves to be longer than our usual YouTube episodes and that this is the perfect opportunity to do something a little different!…That’s why we’re asking our fans to get behind us and help us make a film that we can all be proud of. ‘Off to the Vet’ will be made by the fans, for the fans!